Join Michelle Wilson for an hour of paper: its history and how it is made. She will talk about why paper is part of her creative process and how it defines her work. 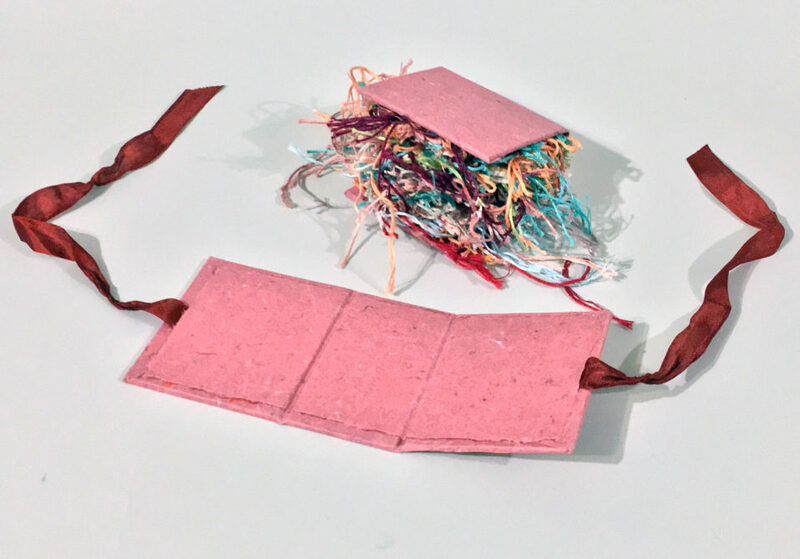 As a book and paper artist, Michelle incorporates papermaking into her pieces. The unique paper she creates is an integral component of her book art. Her work is in collections at Yale, Columbia, the National Museum of Women in the Arts, the Mediatheque Andre Malraux, and her work is part of the American Bookbinders Museum’s current exhibit, Long Live the Book!. An active book artist she works out of her Oakland studio. Join us at the American Bookbinders museum for an afternoon immersed in paper.